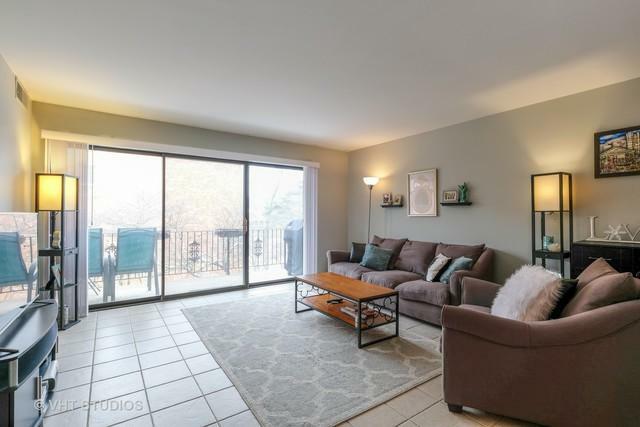 An absolutely gorgeous fully updated SW CORNER 2bed/ 2bath condo in the heart of downtown Highland Park! 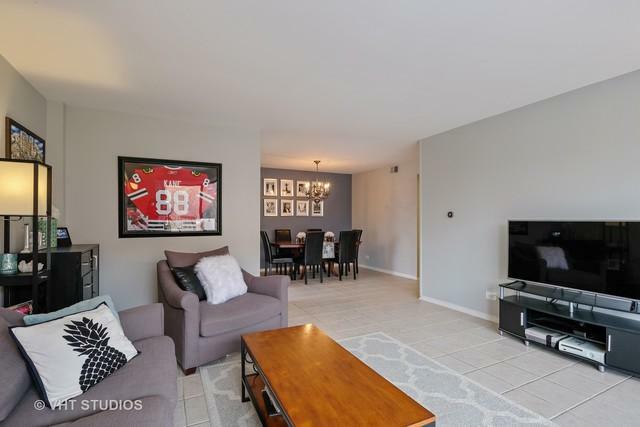 A graceful entry way foyer with new custom closet shelving leads you into a large bright S facing living room complete with slider doors to a spacious balcony. A large updated eat in kitchen features new tile flooring along with granite countertops, SS appliances & under cabinet lighting. A sizable separate dining area completes the main room. A spacious master retreat fits a King size bed and features new carpet and new solid doors to the bedroom, bathroom and closet. The ensuite has been updated with a new vanity, fixtures and flooring. New custom shades on all windows including blackout shades in both bedrooms and nest thermostat make this home a 10! Great storage throughout. 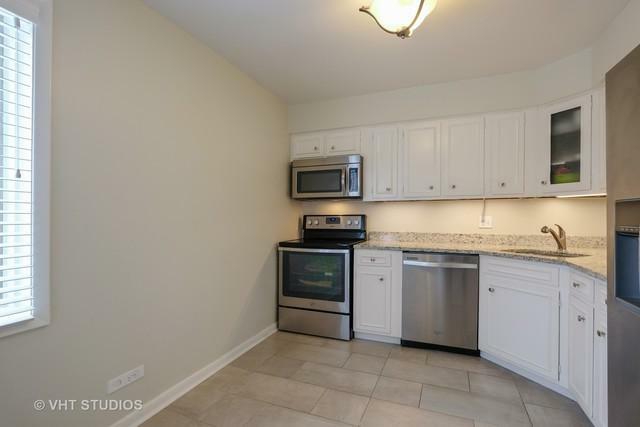 Unit comes with a heated garage parking space. 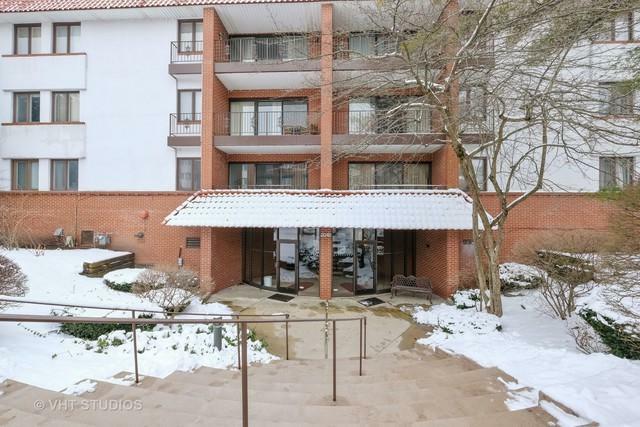 Spanish Courts is close to shopping, restaurants, parks, schools, train, lake, and Ravinia Festival. Be in the HEART of all that downtown HP has to offer!